People get so worked up about things breaking. Not everything I throw or build survives into a finished product. 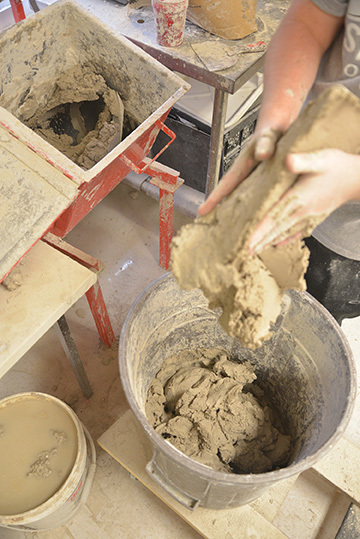 There are a variety of steps that the clay takes to get to a functional piece of pottery. 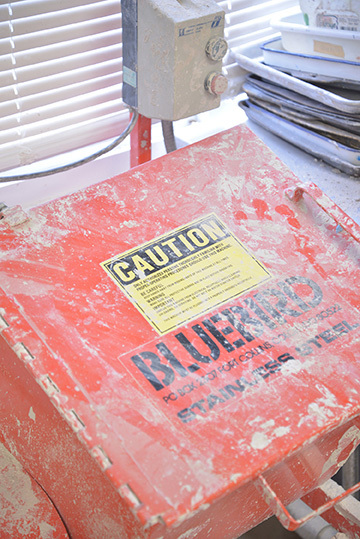 At any given time a piece may crack, warp, or explode. Sure, it’s disappointing because now I have to reinvest my time to create a like item, but it’s not a total loss. 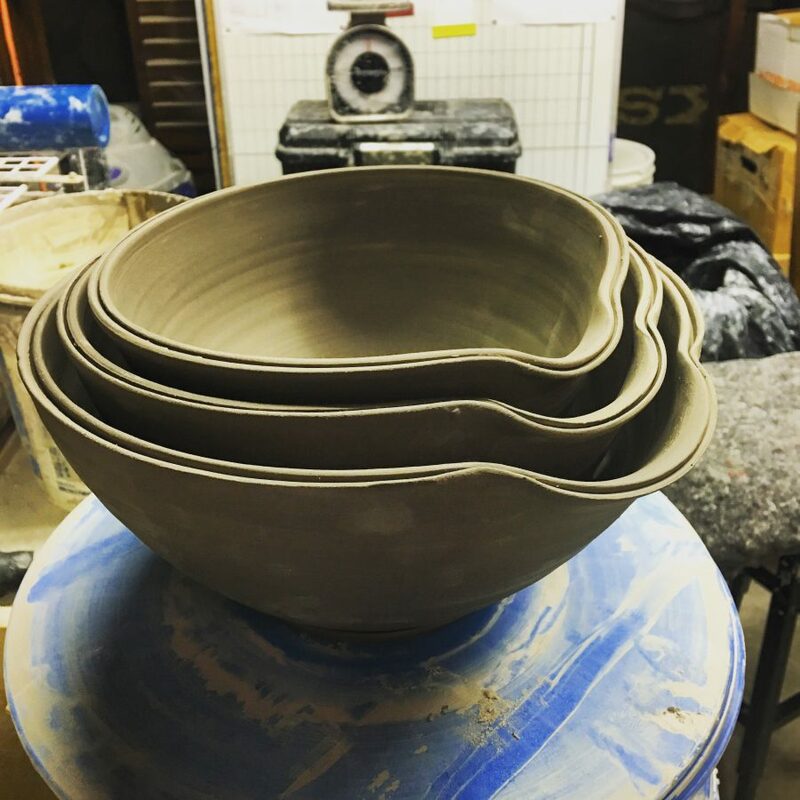 If the clay hasn’t been fired then all I’m out is my time because I can reuse that clay. 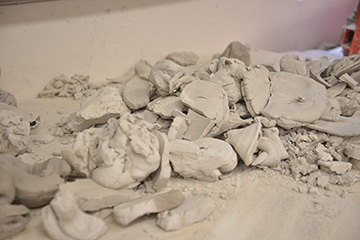 Any clay that gets trimmed from a piece isn’t automatically garbage, either. I save all of it. Scraps are left on a canvas table to get bone dry. 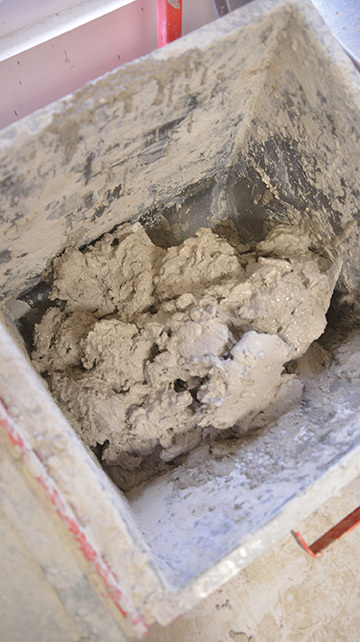 After the clay pieces are bone dry I rehydrate them in a 5 gallon bucket. 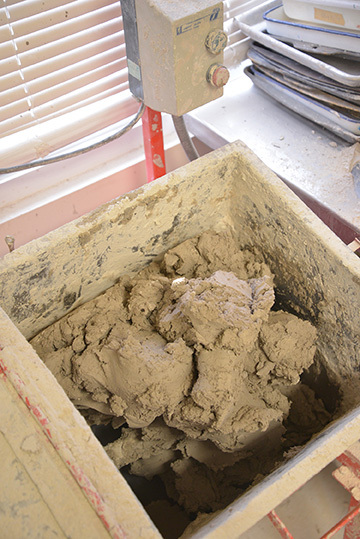 The sludgy clay is put into a mixer. Then I add enough clay powder to reach the proper consistency. 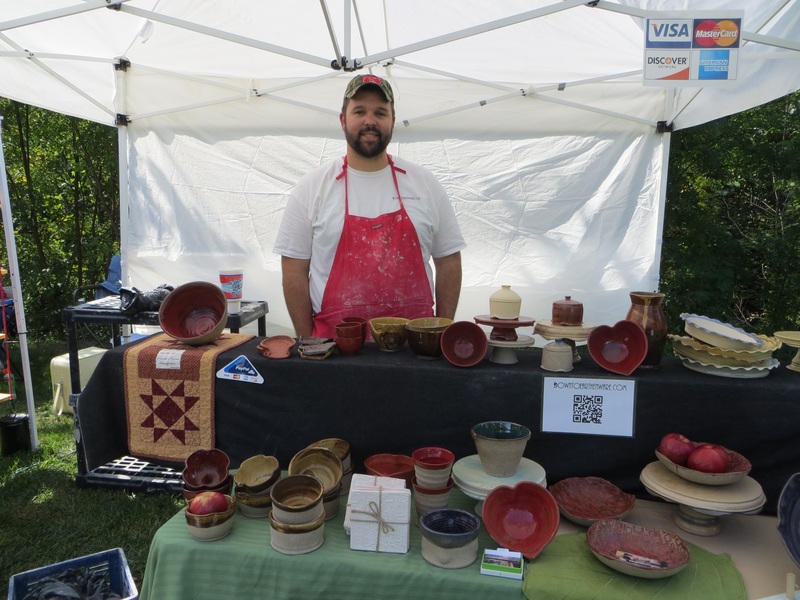 I get my clay from Krueger Pottery in St. Louis. 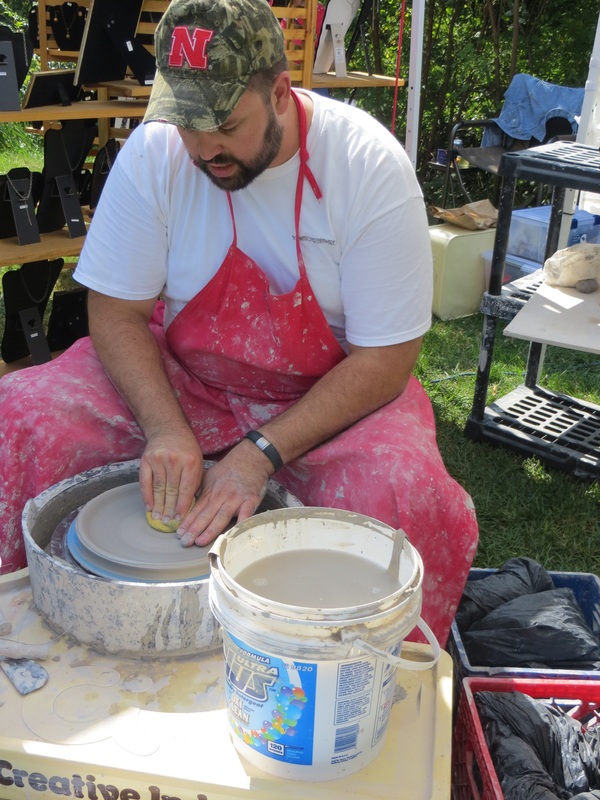 Once the clay works through the mixture it comes out a manageable consistency that I will use to create more pieces. There’s a similar process that we go through as humans, as Christians. In our sin and brokenness we are useless. We lack appeal and value and could easily be discarded. However, God chose to repurpose us. He chose to give us new life. He rehydrated us with Christ’s blood and the waters of baptism. He uses the Holy Spirit to work in our hearts. After Christ we have a new purpose, we have a new value. We are redeemed creations of the Potter. He forms us, shapes us and gives us purpose – life. The Glass Former is the element that actually makes the glass (glaze) on the pot melt. The main Glass Former is known as Silica. Silica has a very high melting point of 3100 Degrees Fahrenheit. 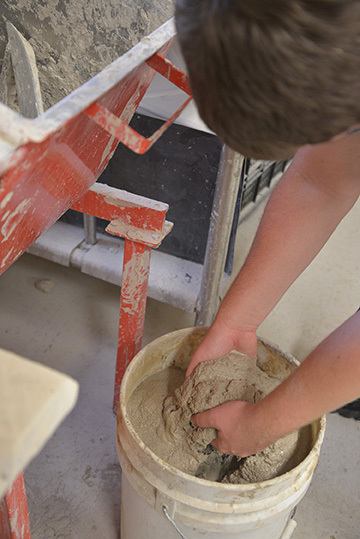 Fluxes are chemicals used in glazes to help lower the temperature of the ‘melting point’. 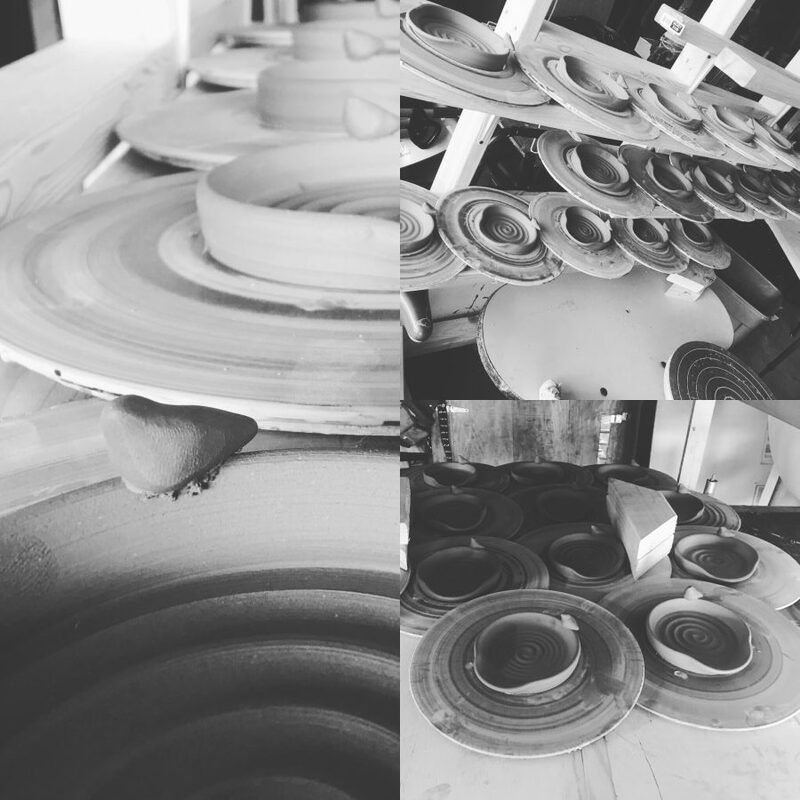 Most kilns don’t require a temperature of 3100 Degrees Fahrenheit to melt the glaze. For instance, most everything I fire is in the ^6 range (cone 6 = 2170 degrees Fahrenheit). In order for that to happen, I must use some flux in my glaze recipes to lower the reaction temp that the glass former requires. 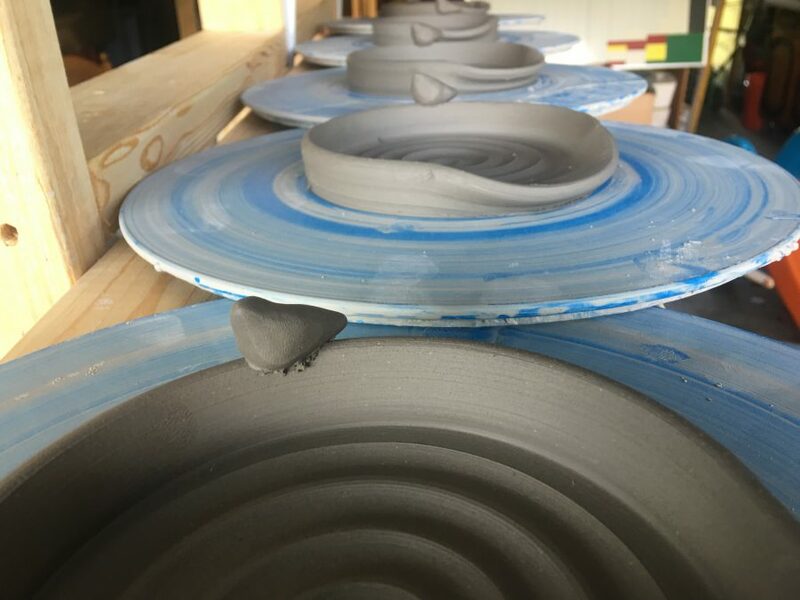 There is a down side to using flux in a glaze; the more flux amount used, the runnier the glaze becomes. 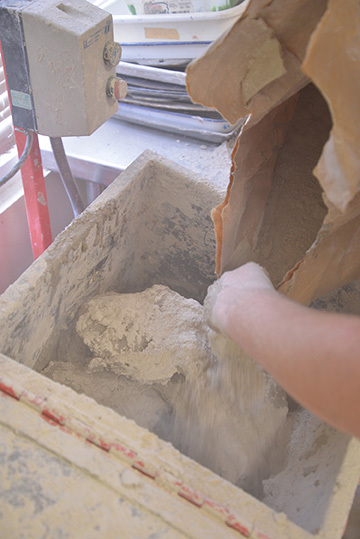 Refractories keep glaze from running off the pot. 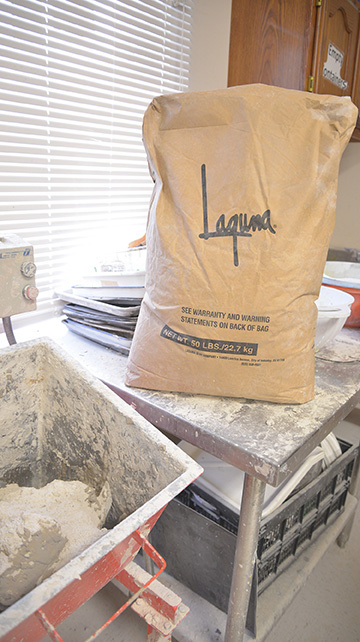 If you have a glaze that is too runny, you need to add more EPK (Kaolin) or Aluminum, which are both refractories. I found a great short video that explains how all three of these properties work together. Each of the three, The Glass Former, the Flux, and Refractories cause changes to happen the other. 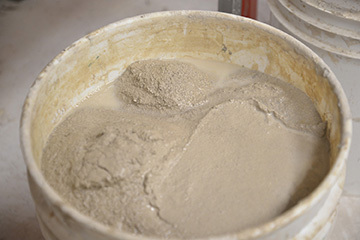 These three components make up what is called the “Base” or “Base Glaze”. 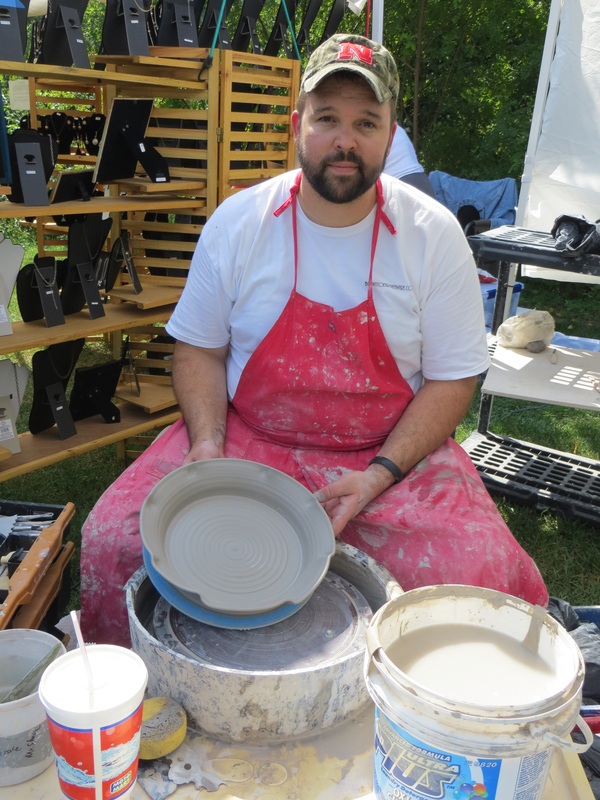 After the Base has been configured, then the potter can begin working with color elements to see how each color element can create a different look. The “Color Theory” element of glazing is something we will hold off with right now because that could take several posts. Once you start adding/subtracting color chemicals you may have to change other components too to compensate for that adding/subtracting. I sure hope this helps you understand a bit about glaze theory! 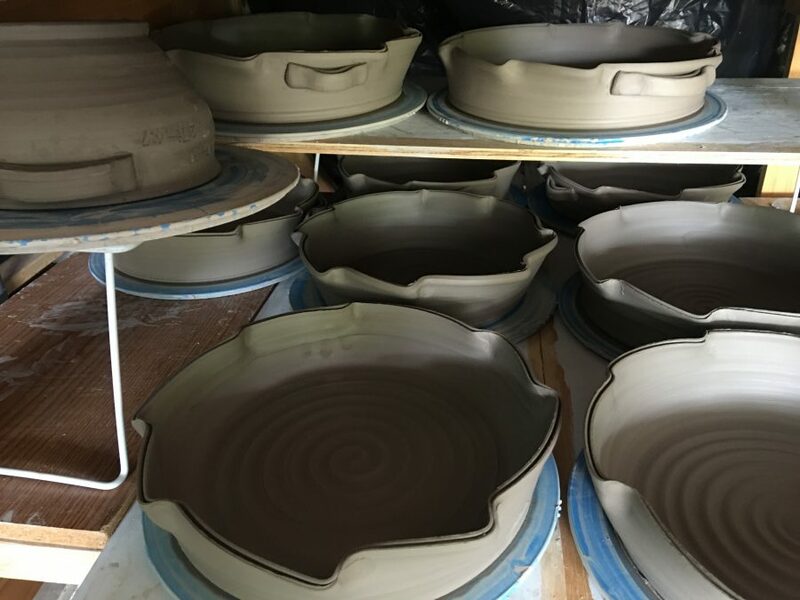 Every so often, we like to share some quick video’s (some with and some without audio) Since we love watching people throw on the wheel, we thought maybe you all would like to see some examples of us making the ware that you purchase. There are other process video’s on our Video’s Page. Feel free to give them a gander. If you have any other process video’s you would like to see posted, please let us know so we can make them!